People want to ‘perform.’ What this really means is: they want to make a difference. They want to mean something. They want their life to have deep meaning, some deeper sense. Also in little things, people are looking for meaning. They want to be valuable. They want to exist. People are in a continuous search to exist. Deep meaning makes one exist. And that is really nice of course. People are in search to be meaningful. You are. I am. To be, is to be meaningful. Since in Western culture, meaning is being searched for mainly in doing, people generally want to do things, to accomplish something, to – meaningfully – perform. Not simply because of egoism (other people are not important) or altruism (I am not important) but because of something bigger than themselves. That something bigger can be symbolized – you guessed correctly – in the person of a leader. A leader they can be proud of. An authentic leader that they can recognize as being true, being himself. Any recognition or…? This way nevertheless, people mainly follow the leader-as-symbol rather than the leader-by-himself, even while the symbolism may be enabled precisely by the person. The leader as a person should be humble therefore. More specifically even, people follow that aspect or dimension of the leader-as-symbol that enables their own performance, thereby their own meaningfulness. For this, as has been shown in times of war for instance, they may risk their life. It’s not easy stuff but it’s very energetic. Be the one who makes others’ performance possible. 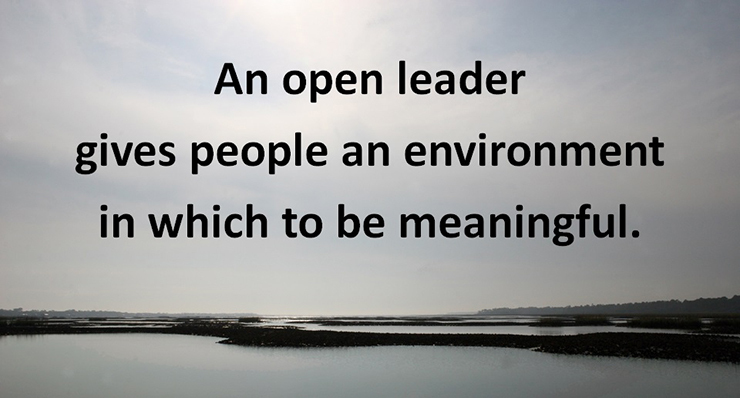 That is your deeply meaningful task and performance as an open leader. You should not take it lightly. 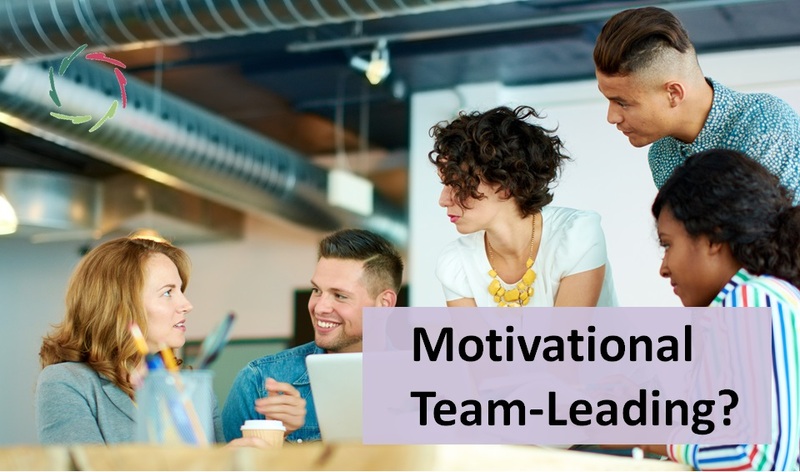 Your collaborators will work for the good cause if you enable them to do so and if they notice that you put effort into doing so yourself in a truly open way. This is: really making effort and also really letting go, providing the space, trusting that the space will be filled with meaningful action. Then showing gratitude for this action. Performing and receiving rightful gratitude are probably the two most efficient direct motivators. So as a leader, be generous! Making a performance possible is not only a matter of providing resources. For instance, making efforts to get the right feedback is also part of it. Striving for good feedback is needed to know how to optimize the symbolic environment. You’re in this together. Striving to give enough challenge is yet another part of it. Too little challenge is demotivating. 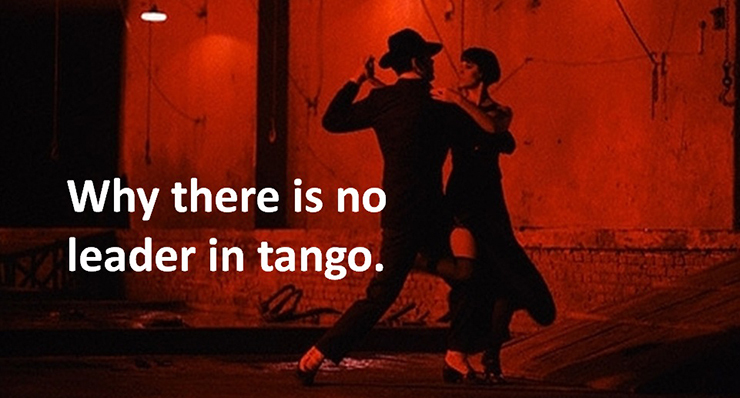 Try to provide a good degree of challenge and frequently re-evaluate. Don’t be shy to ask people to explore their limits. 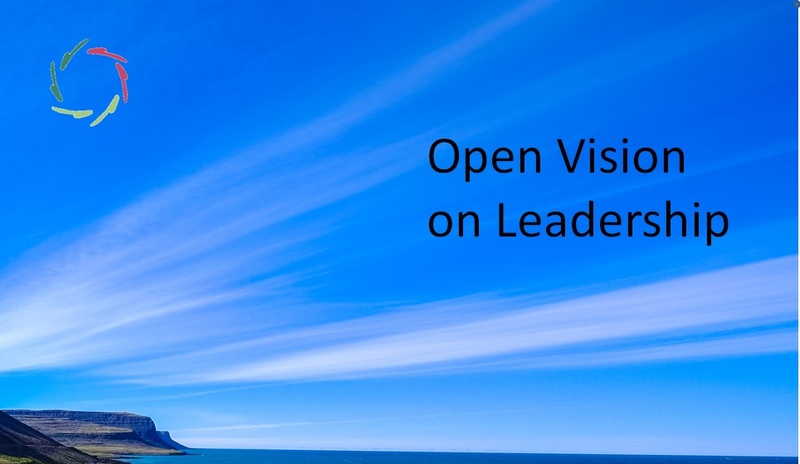 In the presence of an open leader, people like to do so. Afterwards you can be grateful and with good reason!